I was so excited when a bra actually made it into the newspapers last week. Not photographed partially covering a buxom model, but an actual article on the discovery of the worlds oldest bra. I was impressed to find this featured in all the major publications, online, as well as being all over Twitter. It seemed to interest lingerie enthusiasts, academics and fashionistas alike. It brought bras into normal conversation and the discussion on when they were actually first invented. 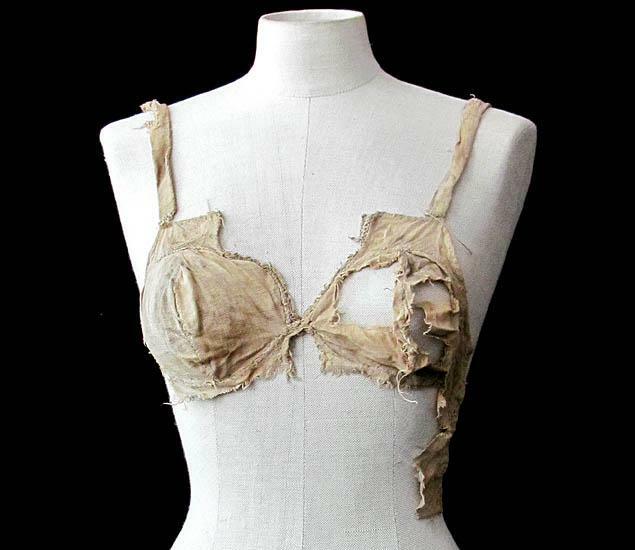 For those who didn't read the article, this bra was found by archeologists in an Austrian castle whilst undergoing reconstruction in 2008, but only came to light recently due to the multiple tests that had to be done to determain the age of the garment. This, as well as three other bras, were found in a waste filled vault. The garments have been dated back 600 years. Back when bras were not meant to have been invented yet. This changes the history of lingerie completely. These linen bras were found in different levels of condition and two resembled the modern day cut that supposedly wasn't created until the late 1800s. The one pictured above resembles a longer line style similar to what is in fashion now. Garments existed previously that were worn to cover, support or suppress the bust but as far as we knew never resembled the bras of today with actual cups. 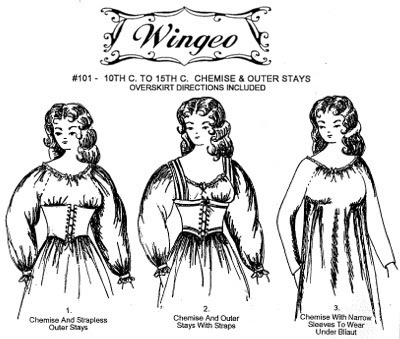 This discovery comes from a time when long chemises were the main form of lingerie being worn by women. I didn't find it surprising that this garment existed, as what we read about the past doesn't exactly show every detail of clothing worn by every level of society. Paintings portrayed a small part of what existed in the 15th century, but usually showed a woman either fully dressed or fully undressed. Same goes with the written word as lingerie was taboo and not exactly expressed freely back then. The only times you read about lingerie from this era was often in an obscene way. In books and poems you hear about breast-bags or shirts with bags. This appears to be those garments that were spoken about way back when. What did surprise me about this find was that the garments lasted this long... 600 years infact. And that these bras were embroidered with lace and designed to look pretty not just be functional. This was lingerie, not underwear. Obviously a garment for someone wealthy, but astonishing that it survived all these years to make it into the papers here today. It's amazing how quality garments can last the distance. Will our polyester bras of today render the archeologists of the future baffled thinking we never wore underwear as nothing lasted the test of time? What is your oldest bra? And what sort of condition is it in?